Matsumoto Castle was constructed around 1593 and was in use until 1868. It’s the oldest castle in Japan and one of just four castles designated as National Treasures of Japan. Though it was not as big as we had imagined, it was far more beautiful – especially on the inside! Mostly still in its original state, the gorgeous wooden floors, walls, beams and windows are rich, shiny and worn. There are 6 floors including one ‘hidden’ floor with no windows that was used to store food, weapons and gun-powder. The views from the top are quite spectacular with views all the way to Norikura (one of Hakuba’s ski resorts)! 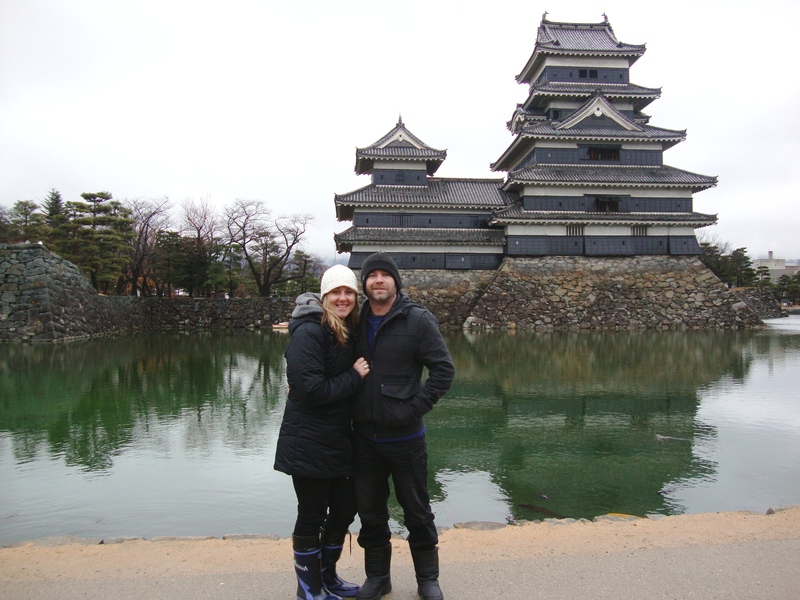 Just under two hours from Hakuba, Matsumoto Castle is definately worth a visit – especially on those ‘no snow’ days! This entry was posted in Japan, Sightseeing and tagged matsumoto, sightseeing, ski japan. Bookmark the permalink.